A home is an assemblage of thousands of parts and products. The following list are some of the more unique and interesting products we’ve come across to consider for you next home. All gas range. Available in 24″, 30″, 36″, 48″ and 60″ width sizes. 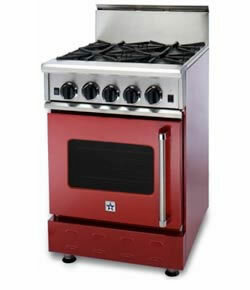 Features NOVA™, ULTRANOVA™, and Simmer Burners for up to 22,000 BTUs. Available in 750+ colors & finishes. 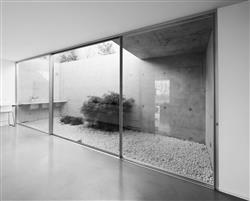 Centor is an integrated door manufacture; they make things such as folding wall systems and large sliders. This is indoor-outdoor living at its finest. 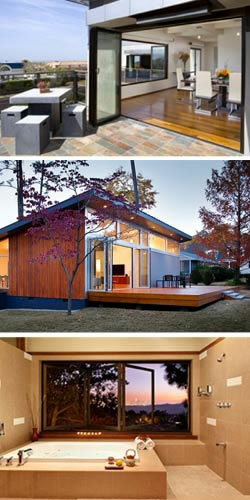 If there has to be a seam between our inside and outside living spaces why not make it beautiful and minimal one. The CentraLux, our complete central vacuum system, is a convenient solution to household pollution. Installed in either a basement or garage, the main power unit is linked to inlets in each room. Dirt and debris are carried out of the home to the main unit, unable to reenter your home’s air. 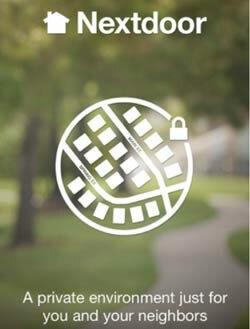 The canister contains a filter that captures 99.97% of pollutants as small as 0.3 microns, operating at HEPA standards. 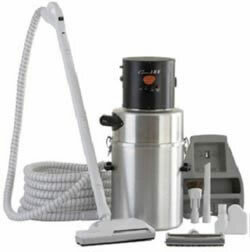 Cyclonic suction prevents clogs and ensures consistent, powerful airflow for better suction. 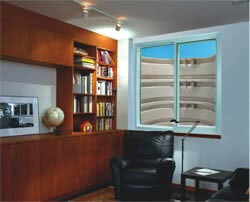 Plus, installing a CentraLux is considered a permanent improvement that actually adds to the value of your home. A sustainable and sleek alternative to wood, the Neolith sintered stone collection can be applied in furniture, wall cladding, flooring, worktops, and facades. Neolith is a high performance, sintered compact surfacing material that combines the best of natural raw materials with cutting-edge technology. Neolith slabs are 100 percent natural, composed of raw materials, have a near-zero porosity, making them hygienic, stain resistant, easy to clean and impervious to chemicals. The product is also wear, scratch, heat resistant and its colors do not fade from UV-ray exposure. Each Neolith model is lightweight and easy to install, making the product suitable for virtually every indoor and outdoor surface, residential or commercial. The only limitation is the imagination. We didn’t think thermostats mattered either. Until we found out they control half of your home’s energy. That’s more than appliances, lighting, TVs, computers and stereos combined. THE PROBLEM: If your thermostat isn’t programmed, you could be wasting around $173 a year. But many of us don’t program our thermostats – they’re just too complicated. The modern concept of the panoramic window – one of Le Corbusier’s proposed five points for a new architecture– seeks to maximize the spans and openings of rooms to light and landscape: the window is converted into a large “screen”. The PanoramAH! glazing system is a culmination of this widely employed modern design concept, ensuring maximum transparency and performance using advanced technology. PanoramAH! Minimal Frame Window PH 26 Light is a sliding aluminium casement system that explores the structural properties of glass, enabling the execution of large glazed areas with the use of vertical, minimal (slender) aluminium profiles. Unlike traditional casement systems, glass is PanoramAH!’s self-supporting, main component, while the aluminium frame takes on the secondary functions of guiding its sliding motion, providing additional structural reinforcement and ensuring the window’s sealing capacity. The app that draws floor plans by itself. No sketching, Roomscan does the drawing, so you don’t have to. Rothoblaas presents aluminum plaques designed to fasten wooden beams to other structures without being visible. The plaques, in the shape of a T, are inserted in slots inside the beams orthogonally, screwed through the sides of the beam. The hidden union guarantees a satisfactory aesthetic, and accomplishes successfully the requirements of fire resistance. Rothoblaas designed ALUMINI, ALUMIDI and ALUMAXI to hang beams of various dimensions, to different types of materials. 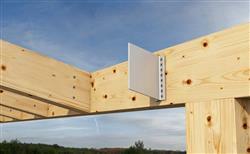 The smallest fastener, ALUMINI, is designed for light wooden structures such as pergolas and sheds. ALUMIDI is designed for beams of larger dimension. Finally, ALUMAXI is the most resistant one, capable of holding beams of large dimensions, creating bigger structures. ALUMIDI and ALUMAXI can also be used to fasten wooden beams to concrete and steel. 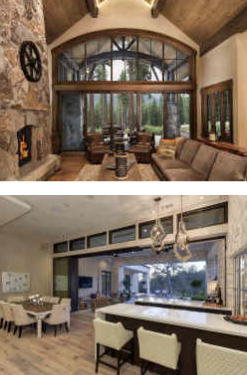 Sierra Pacific doesn’t just make window they also make doors, and wow are their products nice! These are high quality windows and doors that come in an unbelievable number of sizes, shapes, styles, colors, finishes and functions. When you buy windows form manufactures like Sierra Pacific, who take pride in the quality of their products and take care of their customers, you are investing in your homes appeal, value, and functionality. 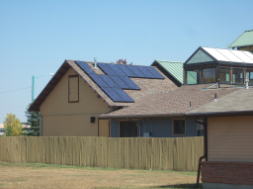 You will see a return on your investment beyond just resale value, but also in energy savings. 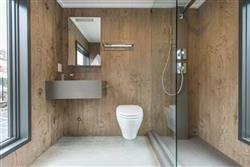 Made of wood framed aluminum clad panels that can give any space the wow factor. They create a wonderful indoor outdoor spaces and can be used in either residential or commercial applications. Here at Godden|Sudik we love these doors so much that we put them in our own office. Sunset Stone is one of the best manufacturers and suppliers of high quality masonry products that we work with. 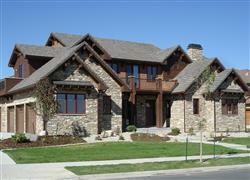 They have a wide variety of stones, everything from cobble, ledge, limestone, staked stones, brick and so much more. We like their stone so much that we added to the design of our office. 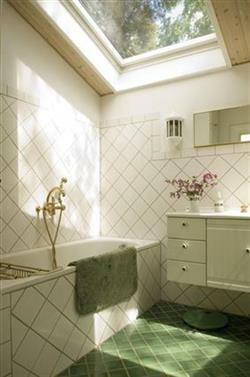 VELUX offers a wide range of skylight and roof window options to increase natural light and fresh air within the home. From fixed skylights to solar powered “fresh air” skylights, their line of products aim to create a healthier home that relies more on daylighting and fresh air to combat the unhealthy and polluted indoor air. They are daylighting specialist, their products are energy efficient and technologically advanced. They also manufacture a complete range of electronic accessories, blinds, shades and solar panels to complement their skylights and roof windows. 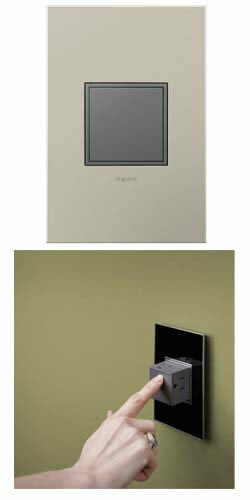 Velux products are going to add great natural light and intrigue to your home. 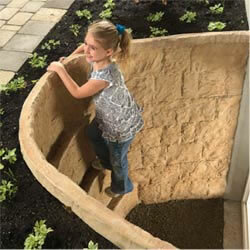 Integrated step designs like Rockwell’s Elite Egress Window Well and the Quarry View Window Well by Monarch can also offer textural interest while still providing practical egress use and durability. Due to emergency exit code requirements window wells and egress ladders are an important safety component of residential housing. Often times these products exhibit a bare minimum design approach, meeting code with little attention given to the visual effect they create on the interior of a home. A few products on the market showcase the innovative ability to marry function and aesthetics so that these necessary components may be utilized as a way to enhance lower level spaces. Bilco, a specialty access developer, manufacturer, and distributor, has risen to the challenge creating an integrated window well and egress ladder product with simple stacking assembly.